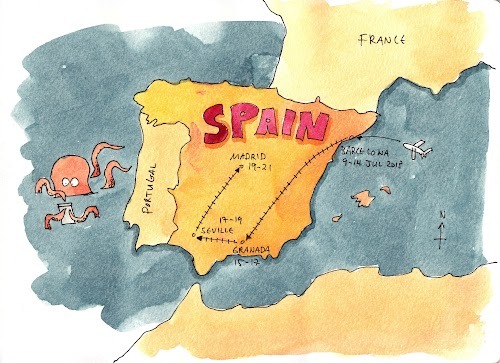 These are mini sketchcrawls held around Barcelona during 10-13 July 2013. Meanwhile the Urban Sketchers Symposium was happening. I'm just there for the sketchcrawls and these are snippets shot while sketching alongside likeminded people.